Backed by a state-of-the-art infrastructure, we are involved in manufacturing, exporting and supplying precisely engineered Wire Nail Making Machine. Proffered assemblage is manufactured in accordance with the predefined industry standards. Owing to the excellent performance, rugged construction and consistent operation, offered series is vastly asked for. 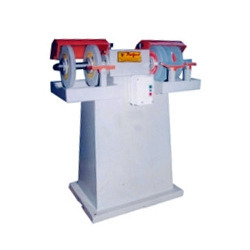 Machine Capacity 200 - 250 Kg. We are considered a trustworthy name in the business, engaged in manufacturing, supplying and exporting Wire Nail Polishing Machine that can be acquired at affordable rates. Made available in different specifications, these ruggedly constructed efficient machines are extensively popular among our clients. Our customers can acquire the range at affordable prices. 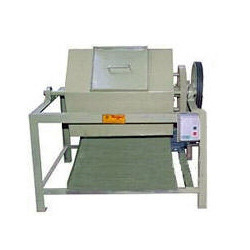 We are considered a trustworthy name in the industry that manufactures, exports and supplies Cutter Grinding Machine in standardized packaging. Proffered in numerous specifications, these efficient and ruggedly constructed machines are massively applauded among our customers. Cutter grinding machines are tested for their performance, before the final dispatch. 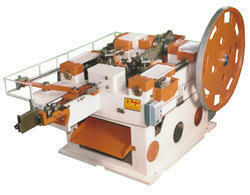 Looking for Wire Nails Making Machinery ?